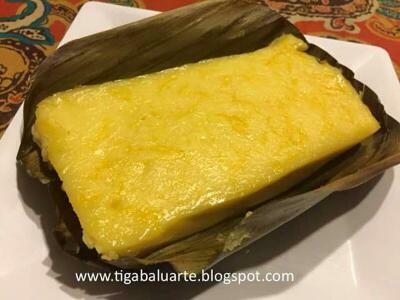 Bibingka is a type of rice cake from the Philippines. Bibingka is made with rice flour, eggs and coconut milk. 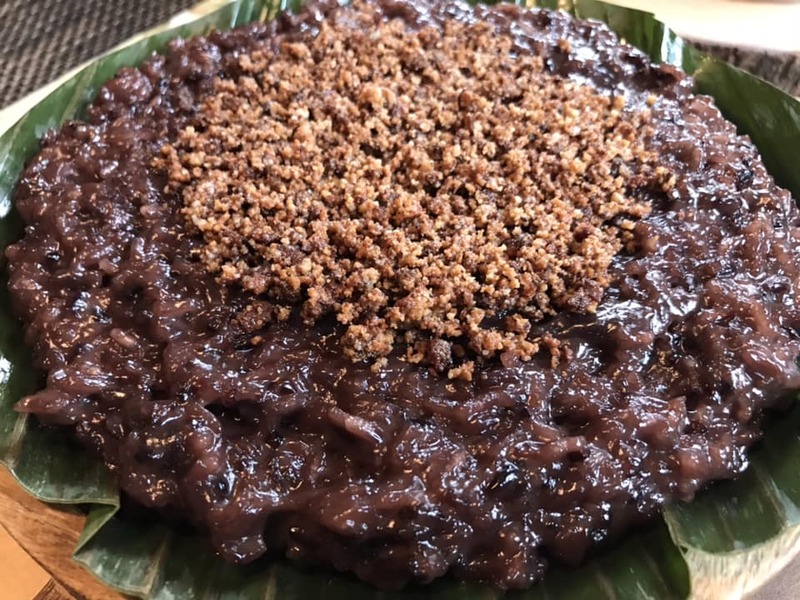 Bibingka rice cake is a popular street food in the Philippines and traditionally eaten during Christmas season. 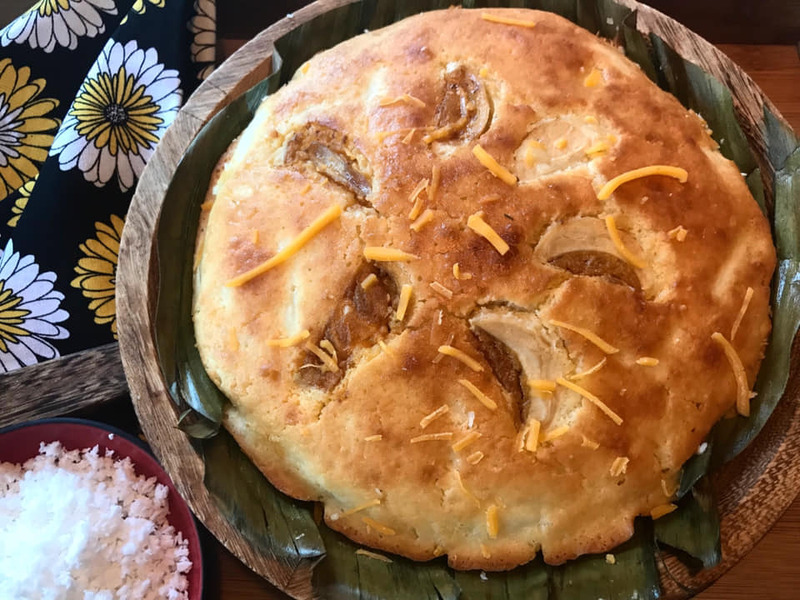 Bibingka is a lightly sweet, moist Filipino cake and traditionally cooked over charcoal in a banana-leaf lined clay pot. This simpler version is made in a cake pan in the oven. Give this simpler Bibingka recipe a try. 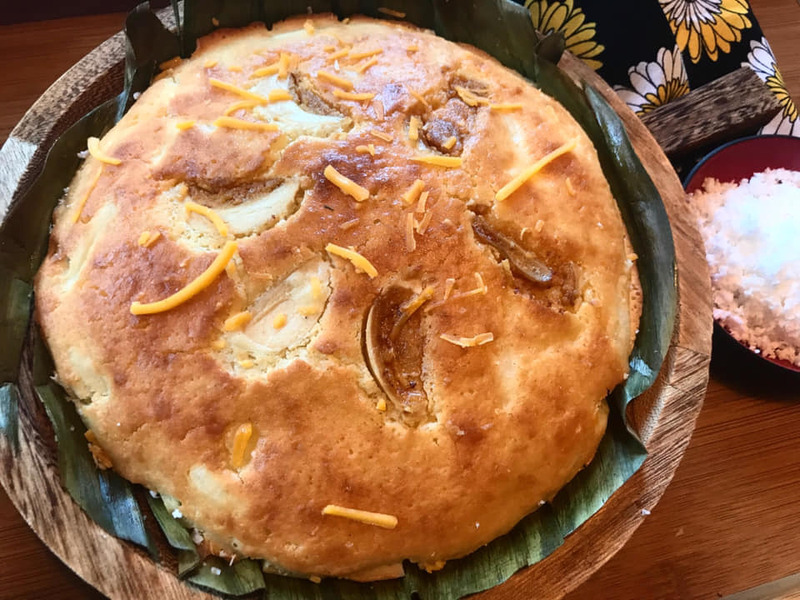 You don't have to wait for Christmas to eat bibingka when you can make it at home. This delicious Bibingka dessert recipe is not to sweet and enough to satisfy your craving. 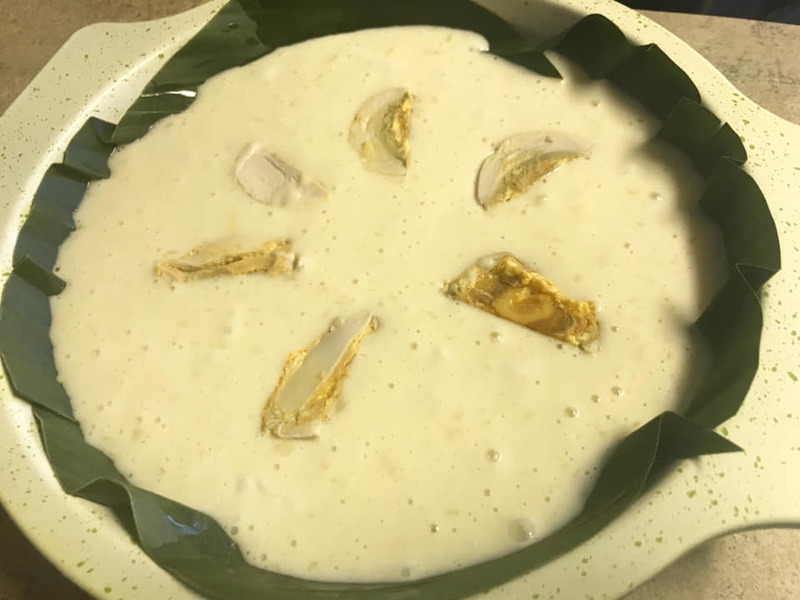 Don't forget to check out related recipes below by clicking on the name link below the picture to see complete recipe. Line pan with banana leaves and brush with butter. In a bowl, combine butter, coconut milk and egg. Mix thoroughly. In a bigger mixing bowl, combine malagkit rice, rice flour, baking powder and sugar in a bowl. Mix thoroughly. Combine egg mixture to the rice mixtures. Mix thoroughly. Taste test if more sugar is needed. Pour mixture into the pan lined with banana leaves. Top flour mixture with salted eggs. Bake for 20-30 minutes or until rice cake is fully cooked. Remove bibingka from the oven and brush with butter. Change oven temperature to broil. Return bibingka to the oven and broil for few minutes until bibingka turns lightly brown and crisp. 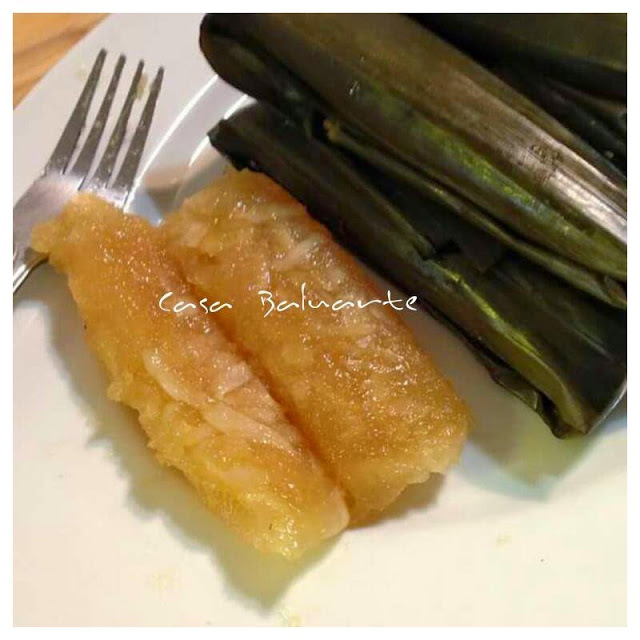 Remove Bibingka from the oven, brush with butter and top with sugar, cheese and grated coconut milk.